The new Dolphin CN80 is a performance and feature-oriented powerhouse. This rugged Android compatible mobile computer features a full-touch 4.2-inch display and numeric or QWERTY keypad. It’s ready for warehouse and manufacturing applications inside the factory walls as well as usage in the field in logistics or delivery scenarios. 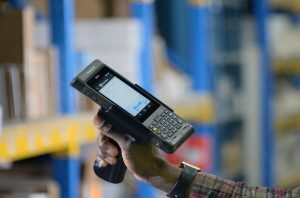 Currently, many companies focus on finding the most rugged mobile computer they can afford, but durability shouldn’t be the only concern when looking for a new mobile computer. 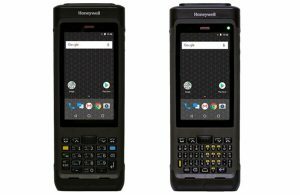 The belief that performance must be sacrificed to get a device that can stand up to the elements is outdated, and nothing demonstrates this better than the latest release from Honeywell, the Dolphin CN80 mobile computer. This device gives you the speed and accuracy you would expect in an Android-compatible handheld, with all the durability and ruggedness you need to protect your investment and keep your workflow uninterrupted. This device expertly bridges the gap between keypad-based operations and the modern touchscreen-centric world. The device is built on the Mobility Edge platform from Honeywell, offering users an integrated and scalable approach. It boasts a lower total cost of ownership thanks to its extended product lifecycle, which stretches across four generations of Android. Featuring a 2.2 GHz Qualcomm Snapdragon processor and up to 4 GB RAM, this device offers a 13-megapixel colour camera as well as scanning capabilities. Sensors include a proximity sensor, magnetometer, gyroscope, pressure sensor, ambient light sensor, and accelerometer. With enhanced 1D/2D scanning and data capture, this device has read ranges of 0.15m to 15.2m generally required in today’s warehouses. So just how rugged is it? The CN80 can operate at anywhere from -20 degrees to 50 degrees Celsius, with a cold storage unit that works just as well in places where the temperature can drop down to -30 degrees Celsius. It can handle relative humidity of up to 95 per cent, and even drops of 8 feet to concrete aren’t enough to break it. It meets IP65 and IP67 standards for intrusion from moisture and particles. Some of its accessories include vehicle cradles, wireless changing vehicle cradles, snap-on charging adapters, and carrying devices, and it comes with a one-year factory warranty. Driverless Vehicles on Melbourne's Streets What is a Qubit?